Aroma's Therapies - "Take two and call again tomorrow"
Small, Medium or Large Pots available to steep & sip at your leisure. Choose from our extensive tea list of Black, Green, Herbal, Fruit, Rooibus & White teas. Traditional Italian Style-Simply Espresso with only a dollop of rich froth, (Starbucks "Caramel Machiatto" is closer to our lattes). Espresso with Hot Water. Let us know if you want room for cream. Espresso with dense Steamed Milk topped with a frothy foam cup. Espresso, Steamed Milk and an equal volume of dense foam. 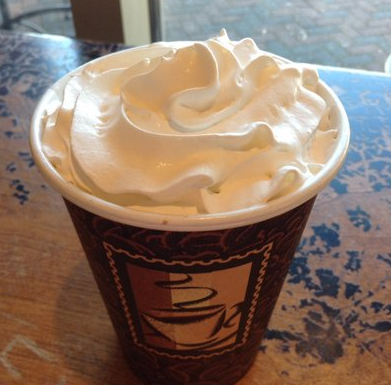 Espresso, Ghirardelli Chocolate Power, Steamed Milk & Whipped Cream! Espresso, Ghirardelli White Chocolate Powder, Steamed Milk& Whipped Cream! A frozen treat! Choose from: Coffee, Mocha, Vanilla Latte, Decaf Mocha, No Sugar Added Mocha, Cookies & Cream or Chocolate Peanut Butter). Vanilla Syrup, OJ and Half & Half stirred over Ice. Wild Berry, Peach, Strawberry, Passion Orange, Mango Guava, Pineapple Coconut, Banana, Pomegranate Blueberry). For a Creamy Ultimate Smoothie, add $.50. Your favorite coffee special over Ice to Refresh & Re-energize your day! A liquid Dreamsicle, Vanilla ice cream, blended with orange juice & vanilla syrup. A traditional favorite for young & young at heart. 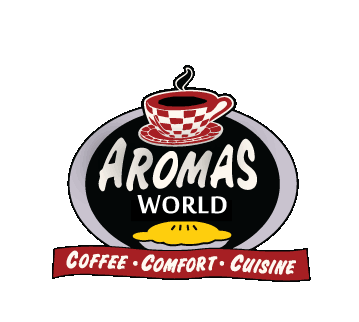 Our fine selection of world class origin and flavored coffees are roasted in house and brewed fresh daily for your enjoyment. We rotate these offerings to enable you to experience the richness of Arabica beans and the incredible aromas they generate. Choose from our Selection of Fresh Roasted, freshly Ground & Brewed Specialty Coffees. Specialty espresso based drinks. These favorites include espresso paired with a variety of Torani Syrups to create a memorable taste treat. Espresso, Steamed Milk, Honey, Vanilla Syrup, Cinnamon, Nutmeg topped with Whipped Cream! Espresso, Chocolate, Almond & Coconut Syrup, Steamed Milk topped with Whipped Cream! Espresso, Chocolate, Graham Cracker & Marshmallow Syrups, Steamed Milk & Whipped Cream! Espresso, Green Mint and Chocolate Syrups, Steamed Milk & Whipped Cream! Espresso, Chocolate, Caramel & Hazelnut Syrups, Steamed Milk topped with Whipped Cream! A thicker, richer (6oz. )Triple Chocolate treat served with a touch of Whipped Cream!